In the 2015 film "The Martian," Matt Damon's character is a scientist left behind on Mars. He has limited food supplies and not much water. He tries to figure out how to survive so he can be rescued. Luckily, he knows how to grow things. And one of the things he grows is a potato plant. A year later, scientists in Peru and NASA scientists in California started working together on growing potatoes in a harsh location similar to Mars. They built a container where they could simulate the conditions on Mars. The salty soil came from the southern coast of Peru, where there is very little rain. Inside the "Mars-in-a-box," the scientists made the air pressure similar to what it is like at 6,000-meters, decreased the temperature below zero, and added carbon monoxide to the air. They made a lighting system that followed Mars' daytime and nighttime. They planted 65 types of potato plants, and waited. After a while, four of them grew. Later, the scientists took the strongest of the four plants and tried again. This time, they used crushed rocks instead of soil. Why is the research being done in Peru? You may not know that Peru is known as the birthplace of potato farming. 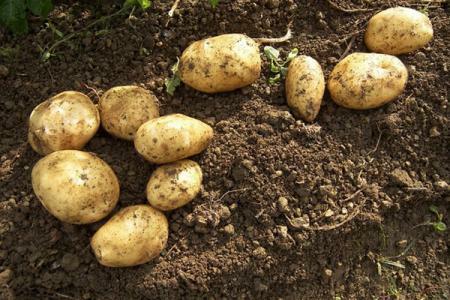 People grew potatoes there about 7,000 years ago. Even in cold, barren parts of Peru, Ecuador and Bolivia, potatoes still grow. There is also a potato research center, called the International Potato Center, in the capital city, Lima. It can still grow in freezing climates with high amounts of carbon dioxide. The research is not only for a trip to Mars one day. It is going to help feed people in parts of the world that are already having trouble planting traditional crops due to climate change. The work is not yet done. The scientists in Peru and California will try to grow more plants in even more difficult conditions. The country's economic problems are largely due to the weakness of the recovery. Carbon emissions exacerbate the global climate change problem. People can learn how to grow foods from back home as well as traditional American crops. Industrialized countries must reduce carbon dioxide emissions. 1.In the 2015 film "The Martian," Matt Damon's character is a scientist left behind on Mars. His wife left behind her two little girls. 2.He tries to figure out how to survive so he can be rescued.